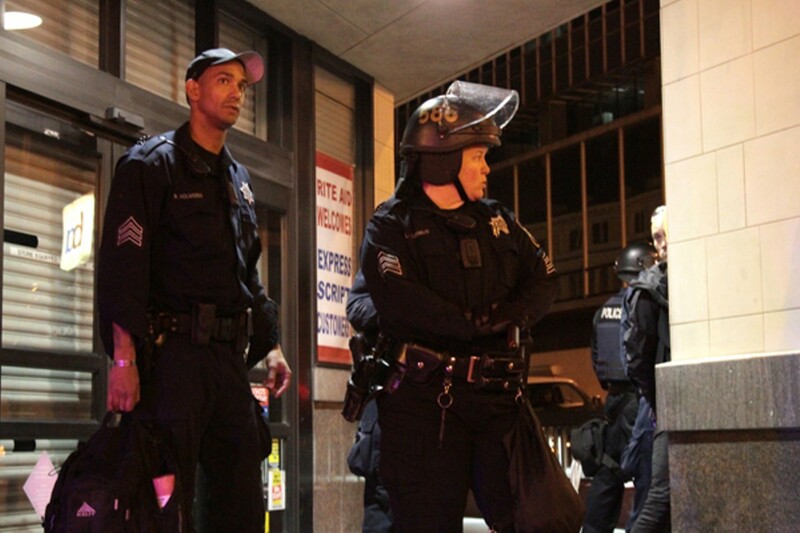 A New Way to Punish Oakland Cops? Judge Thelton Henderson is considering holding officers in contempt of court as new evidence surfaces that some cops are violating departmental rules. Oakland Sergeants Ronald Holmgren and Lisa Ausmus may have violated departmental rules. Federal Judge Thelton Henderson and the court monitors overseeing the Oakland Police Department have been frustrated for years by the lack of accountability in the department when it comes to police officer misconduct. Typically, the department places officers accused of wrongdoing on paid administrative leave pending the outcome of an internal affairs investigation. But then if internal affairs recommends an officer be disciplined, or even fired, that recommendation often is overturned later by an arbitrator. This arbitration system is guaranteed by the union contract between the city and the Oakland Police Officers' Association, and it often helps cops avoid department recommended discipline or termination. However, Judge Henderson recently indicated that he might add a new way to punish officers who commit wrongdoing. And if he chooses to implement this new disciplinary process, it will be the first of its kind in the country. Henderson is considering holding officers in contempt of court if they violate a sweeping set of police reforms in the consent decree that stems from the Riders case. These reforms cover nearly every aspect of police conduct, so the judge, in effect, could discipline officers even if an arbitrator says they shouldn't be. The judge decided to explore this new path in the wake of an Oakland police officer's decision to tape over his nametag during a confrontation with Occupy Oakland protesters following the November 2 General Strike. In a January 27 order, Henderson stated that officers accused of misconduct could be subjected to investigation by the Independent Monitoring Team that oversees OPD's federal consent decree. Henderson also recently granted monitoring team members the power to carry out their own probes into officer misconduct based on their own initiative or at the request of Henderson or John Burris and Jim Chanin, the civil rights attorneys who filed a class action suit twelve years ago against four rogue West Oakland cops. Judge Henderson's assertion of the court's power to conduct independent investigations and mete out contempt of court sanctions outside the normal union arbitration process came in an order relating to the nametag-taping incident involving Officer John Hargraves and former Lieutenant Clifford Wong on November 2. Hargraves was found to have violated policy by taping over his nametag, and Wong was found to have acted improperly by failing to report the incident to internal affairs and also turning off Hargraves' lapel camera, which video of the incident shows was on when a photographer first raised the issue. The department suspended Hargraves for thirty days and demoted Wong to sergeant, but Henderson may decide to further discipline them through contempt of court proceedings. The court's ability to conduct independent inquiries into OPD policy and discipline is a "game changer," said Rashidah Grinage of the police watchdog group People United for a Better Life in Oakland. Henderson's order also circumvents the six-year-old barrier on disclosing police officer misconduct that has been in place throughout California since the 2006 State Supreme Court decision The Copley Press, Inc. v. The Superior Court of San Diego County (see "Deadly Secrets," 10/12/2011), which barred independent police watchdogs from publicly identifying officers in misconduct complaints. According to Grinage and Chanin, Henderson's order affirming the court's right to conduct future hearings on individual officers actions does not violate Copley because that ruling does not apply to court orders. In other words, Henderson's decision also means that for the first time in six years, Oaklanders may have access to misconduct complaints about individual officers through the federal courts. OPD's long struggle to comply with federal reform efforts has already broken new ground in that it is the first department to face the possibility of a full federal takeover. Henderson's decision to hold officers directly accountable through contempt of court sanctions also makes good on a threat he made last May when he asked the monitoring team to "get me a name" of any officer impeding or counteracting the consent decree reforms. 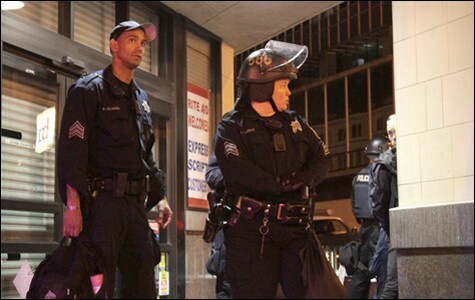 In addition to Hargraves and Wong, there may be another group of officers who could end up in front of Henderson over their actions during Occupy Oakland protests. This group appears to have acted contrary to departmental policy for how they treated protesters and for shuttering their lapel-mounted cameras during key moments of Occupy Oakland's protest on January 28. Oakland police officers fired less-than-lethal beanbag rounds and threw tear gas-loaded "stinger" grenades at demonstrators gathered at 10th and Oak streets that afternoon, and once again at a group of several hundred demonstrators that police had surrounded, or "kettled," at a park on 19th Street just off Telegraph Avenue. OPD's actions on January 28, according to Chanin, show that the department has backslided from reforms undertaken after OPD fired on peaceful demonstrators at the Port of Oakland in April 2003. For their part, Oakland police officers contend that they were attacked with rocks, metal pipes, and bottles on January 28. And footage from dozens of lapel-mounted Vievu cameras, or "Personal Data Recording Devices," worn by OPD officers could clarify what happened that day. OPD purchased 350 Vievu cameras in September 2010 at a cost of $540,048. The devices were intended as a transparency tool to hold officers accountable for their actions during interactions with the public, and to deter false complaints against officers. Each device has four gigabytes of memory and can record up to four hours of video. OPD's official policy for camera use states that officers must keep their cameras on while conducting vehicle or walking stops, and while making arrests. No stipulations are made for crowd control situations in the policy. But department instructions for lapel camera usage in OPD's operations plan for November 2 stated that officers that had been issued lapel cameras were required to wear them and turn them on "if directly engaged with the crowd (i.e. dispersal order given, skirmish line moves toward crowd or during arrests or physical contact with members of the crowd)." However, videos and images from January 28 appear to show several OPD officers with their lapel cameras off during confrontations with demonstrators and while making arrests, including at least one officer who was photographed firing less-than-lethal rounds from his shotgun at fleeing demonstrators at 10th and Oak streets. During the January 28 march toward Laney College, Officer Rodney Kirkland was photographed alongside Officer Bryan Clifford. Kirkland's camera is off, while Clifford's camera is on — as indicated by the green coloring around the lapel camera's lens. Video footage shows Officer Kirkland apparently pushing Joanne Warwick, an Oakland attorney, to the ground as she stood in front of police lines with her bicycle on 9th Street near Laney College. Warwick was dragged behind police lines and arrested. Video footage shows that Kirkland's camera was off during the incident. Kirkland was photographed later that afternoon near the Alameda County administrative building on Oak Street with his camera turned on. Warwick is currently charged with obstructing Officer Kirkland and blocking the street. She is one of eleven people who have been served with stay-away orders from Frank Ogawa Plaza. When demonstrators advanced on a police line behind homemade shields after an initial volley of flash-bang grenades at 10th and Oak streets, OPD responded with more flash-bangs and shotgun-fired beanbag rounds, scattering the crowd. Among the shotgun-wielding officers of OPD's Tango team was Acting Sergeant Casey Johnson. Multiple photographs and video show Johnson firing his shotgun at demonstrators — one image shows Johnson with his camera off and shotgun in a firing position, while three adjacent officers have their cameras on. While OPD's policy on lapel cameras is not clear-cut regarding crowd-control situations, it clearly states that officers must have their cameras while making arrests. Sergeant Ronald Holmgren was photographed making three arrests on January 28. During the first arrest in the afternoon, his camera is on. During the second arrest, his camera is turned off. Holmgren's third arrest took place in front of the Rite Aid at 14th Street and Broadway, where a young man was arrested for attempted vandalism. Video and photos show Holmgren and two other supervisors, sergeants David Faeth and Lisa Ausmus, with their cameras off while Officer Bryan Alaura handcuffed the suspect. OPD spokeswoman Officer Johnna Watson said officers could have turned their cameras off if the memory was full or if their battery packs had run down. However, Watson also said that Vievu cameras have internal monitors that show if cameras are low on battery, and that data will be crosschecked with footage to see whether officers are following procedure and truthfully documenting their camera usage. "If officers are found turning off the system when policy requires it be on, that would be a policy violation and would lead to an internal affairs investigation," Watson said. According to Sergeant Chris Bolton, chief of staff to Police Chief Howard Jordan, OPD has had problems with non-functioning, lost, and stolen Vievu cameras. Since October, 86 cameras have been sent back to the manufacturer for various problems, and ten cameras have been lost or stolen since last April. When cameras malfunction, officers must immediately report the problem to their supervisor. The Internal Affairs Division is examining lapses in camera use during crowd control situations. However, Bolton said last week that the department had not yet decided whether officers violated departmental policies on January 28. "It would be premature to come to any conclusion for a specific officer or incident at this time," he said.